Jumia Travel (formerly known as Jovago), Africa’s largest online hotel booking portal has rejuvenated its partnership with Afro Tourism, Africa’s foremost travel and tourism promotion company. Afro Tourism is a tourism media company that promotes travel to and within Africa through a series of travel literature and an intuitive website. Jumia Travel has remained consistent in providing African travelers with the ease of booking hotels through a user friendly website. 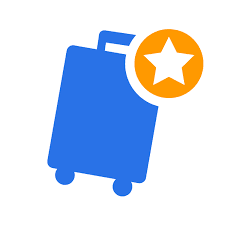 This booking solution from Jumia Travel had always existed on the Afro Tourism website but is now richer with more hotel options and discounts for travellers to and within Africa. ’’With the economic crisis in the world today, travel companies like ours have to promote and encourage pan African travel through the ease of technology’’ – Kushal Dutta, Managing Director of Jumia Travel said. ‘‘We want Afro Tourism to be a one stop website on information and hotel bookings for the African traveller’’ said Funsho Peters, Chief Operating Officer at Afro Tourism. Whether travellers are looking for a quick resource or information towards their travel plans, or are looking for a holistic travel planning solution, Jumia Travel’s partnership with Afro Tourism will ensure that travellers get a good bounce for their ounce. Users can enjoy an additional discount off hotels in Africa using Jumia Travel on the Afro Tourism website while getting expert advice on where to cast their travel oars. “Jumia Travel is all about putting the customer first,” said Mr. Dutta.